Any new flooring will improve the overall look and appearance of your home, but with luxury vinyl flooring, you get a little extra. When you choose luxury vinyl tile or planks, you’re choosing more than just a new floor. You’re choosing peace of mind and an excellent opportunity for variation. Let’s look at a few of the reasons you’re going to love your new luxury vinyl flooring. While your heart’s desire might be to have wall-to-wall hardwood or natural stone flooring, the truth is, some people simply don’t have the time to perform the much needed maintenance on these natural flooring materials. Luxury vinyl flooring, on the other hand, doesn’t need as much constant upkeep. To take advantage of the elegant look of hardwood, tile or stone, just take a look at luxury vinyl tile or planks. They mimic the real thing so well that most people never know the difference, unless you let them in on your little secret. Additionally, luxury vinyl doesn’t expand or contract like real hardwood and will never split, crack or warp. It could be that one of the things that has kept you away from hardwood is the fact that it is so unforgiving in cases of water damage. Sometimes, that damage can be so severe that the entire floor needs to be replaced. And in cases of real hardwood, that doesn’t come cheap. That’s why luxury vinyl flooring is such a common sense alternative to the real thing.Waterproof differs greatly from water resistant, a fact you will only know the true importance of should you come to need it. Why take that chance? 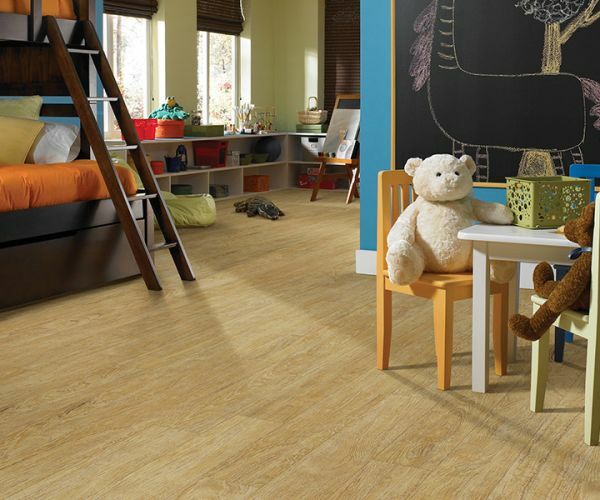 Choosing waterproof luxury vinyl flooring gives you the best of all worlds with an added helping of peace of mind. In addition to all the other great benefits of luxury vinyl flooring, we can’t overlook the fact that it will add market resale value to your home. Should you decide to sell your home at some point, it will quickly become a selling feature. In fact, in some cases, it can add more value to the resale than the money you invested in the first place. At Munday Hardwoods, we want you to have perfect flooring, and we’re willing to help you find it. If you need assistance or have any questions, feel free to stop by our showroom in Lenoir, NC soon. We’ll show you our full line of luxury vinyl flooring, including luxury vinyl tile and planks.